The Duala (or Douala) peoples are a number of ethnic groups who speak one of the various Duala languages. They inhabit the coast of the Republic of Cameroon and form a major portion of the Sawa, or Cameroonian coastal peoples. 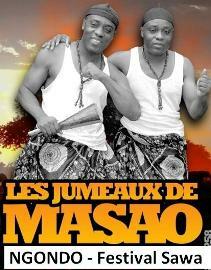 Together, the Duala make up about 1.3% of Cameroon´s total population. They have historically played a highly influential role in Cameroon due to their long contact with Europeans, high rate of education, and wealth gained over years as traders and land owners. 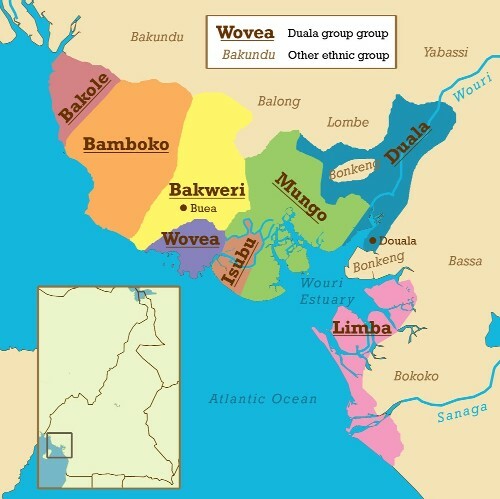 The Duala peoples are divided into eight individual ethnic groups or tribes: the Bakole, the Bakweri (or Kwe), the Bamboko, the Duala proper, the Isubu (Isuwu or Bimbians), the Limba (or Malimba), the Mungo, and the Wovea. The Duala proper have dominated the others historically, and these other groups all profess some sort of kinship to that people. Moreover, most of the Duala groups share a common origin, and similar histories and cultures. In this article, the term "Duala" refers to all peoples who speak Duala languages. The term "Duala proper", on the other hand, refers to one specific people among them, notably the people that lives in and around the city of Douala. The Duala peoples are primarily concentrated in Cameroon´s Littoral and Southwest Provinces. Their settlements lie largely along the coast or just inland. The Wouri estuary, where the Wouri, Mungo, and Dibamba Rivers empty, forms the centre of Duala country. Douala is the traditional capital of the Duala proper, who live in and around the city, though today it has come to reflect the diversity of Cameroon as a whole. The Wovea live on the west coast of the estuary, and the Isubu occupy the coast directly west of them, with their main settlement at Bimbia. Limba territory lies southeast of the Duala at the mouth of the Sanaga River and up its course to Edéa. The Mungo live along the Mungo River´s lower stretch and the creeks that feed it. Their territory straddles the border of the Littoral and Southwest Provinces. In the Southwest, the Bakweri live in over 100 villages east and southeast of Mount Cameroon with Buea their main population centre. Bakweri settlements largely lie in the mountain´s foothills and continue up its slopes as high as 12,000 metres. They have further villages along the Mungo River and the creeks that feed into it. Opposite them to the west and northwest of the mountain lies Bamboko territory, beginning at the villages of Sanje and Mukundage and continuing to the sea. On the coast directly north of the Bamboko live the Bakole along the Rio Del Rey. The town of Limbe is a mixture of Duala and other ethnic groups. Download the complete text from "TELECHARGEMENT"